Students interested in financial markets are usually most familiar with trading roles at bulge bracket banks. These teach you how to manage trade flow. Our buy-side training program will teach you how to take and manage risk rather than recycle it. If you want to be managing capital rather than trade flows, roles with a firm like Apex Capital are the most direct way of getting there. We are currently seeking graduating seniors and recent graduates to join the desk as full time Junior Equity Traders in our Manhattan Financial District office. This position is salaried and requires no capital contribution. Portfolio managers usually each specialize in a particular sector. They invest with a longer term horizon - typically anywhere from several weeks to months. Event-driven traders focus on scenario analysis and strategic positioning around catalysts. They also trade around incremental news flows as they develop. New hires’ perceived skill sets are used to determine whether they are assigned to work with portfolio manager or a trader, but there is flexibility to explore several different trading styles during your time with Apex. Each new hire is paired with a portfolio manager or trader for the duration of the training program. The trainee is a direct assistant to their mentor, but you typically progress to having your own book within six months to a year. If paired with a portfolio manager, you learn about the companies in their portfolio and industry. If paired with a trader, you work on specific event driven projects and learn how to source ideas across sectors. Responsibilities include: research projects, reading company research to familiarize yourself with the industry, trade execution in both cash equities and derivatives, learning what’s “in play” in the morning, and updating manager on news, research reports (+ upgrades/downgrades), movers overnight/morning in relevant stocks. You are encouraged to present ideas in the 9am morning meeting, to read about upcoming data releases, corporate actions, etc. and to prepare scenarios for trading. You also learn how to search for ideas with appealing risk-reward profiles going into events. At this stage trainees start tracking ideas on paper and begin exploring ways to judge conviction, size their positions, etc. You are taught how to approach position sizing and risk management. The research and ideas developed during training are put to work with an allocation of capital; this capital is increased over time. Your mentor continues to actively provide guidance at this stage. Following completion of the training program, trainees are given complete discretion over their accounts to trade intraday and overnight within their risk parameters. 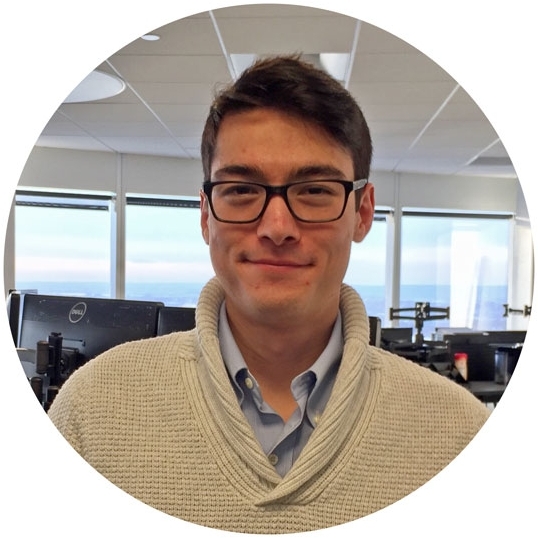 "What really drew me to Apex was access to ongoing mentorship through the training program. The program is unique in that it encourages and helps you to pursue ideas you personally find interesting – I’m not just doing the same work the senior traders do, but am actively looking for new ways to create value. Being able to implement my own ideas with a portfolio is an opportunity afforded to few people my age." "During my time at Apex, I have been exposed to a variety of opportunities to develop as a trader and investor. The junior trader training program is a rare gem in which you collaborate with extremely bright individuals and produce a real impact for the firm. Whether I am attending conferences, working on actionable trade ideas for the firm, or learning a new sector, every day is different. I strongly believe that the quality of my experience at Apex would be very hard to replicate elsewhere." To apply for a role with Apex Capital, please email us your resume with the subject "Applying to Apex Capital". Candidates must be able to demonstrate a deep interest in equity markets as well as a strong work ethic, analytical skills, and entrepreneurial spirit. To that end, during the screening process you will be asked to talk about one or more trade ideas you have researched in the past or your experience managing a personal portfolio. We are happy to also answer any questions you may have about the firm, its training program, or the Junior Trader role. Apex Capital Holdings, LLC. is an associated member of T3 Trading Group, LLC, a member of NASDAQ OMX and PHLX.